California Marijuana Arrests in Drop 56% Following Passage of Prop. 64, but Racial Disparities Remain. Arrests for marijuana offenses dropped precipitously following the legalization of marijuana in November 2016. Felony pot arrests dropped 75% between 2016 and 2017, while misdemeanor busts declined from 5,861 in 2016 to 3,979 in 2017. But blacks and Hispanics continued to be arrested at higher rates than whites. Blacks and Hispanics accounted for 61% of felony arrests and 59% of all misdemeanor arrests. Maine Lawmakers Override Governor's Veto of Medical Marijuana Expansion. The legislature has overwhelmingly overridden Gov. Paul LePage's (R) veto of a bill, L.D. 1539. allowing patients to use marijuana if a doctor deems it medically beneficial, grant six new medical dispensary licenses, permit caregivers to expand their business operations and give the state and municipalities more power to regulate them. 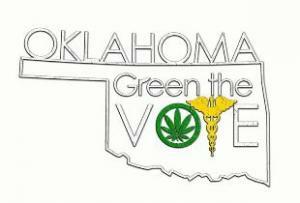 Oklahoma Losers Now Want to "Fix" Medical Marijuana Initiative. Opponents of State Question 788, the medical marijuana initiative approved by voters last month, are now demanding changes in the measure. At a Monday press conference, a coalition of medical groups called for three changes to the initiative: requiring dispensaries to have pharmacists on staff, limiting the number of dispensary licenses, and banning the sale of smokeable forms of weed. The state Health Department was meeting Tuesday to vote on proposed rules, but it does not appear the department is going to consider the proposals from the medical coalition. Toronto's Chief Medical Officer Calls for Drug Decriminalization. Dr. Eileen de Villa, chief medical officer for the city of Toronto, has urged the city's board of health to call on the federal government to decriminalize the possession of all drugs. She is also recommending Ottawa convene a task force made up of people who use drugs, alongside experts in policy, health care, human rights, mental health and criminal justice experts "to explore options for the legal regulation of all drugs in Canada." British Labor Party Launches Campaign for Drug Policy Reform. The party rolled out its Labor Campaign for Drug Policy Reform on Monday. The campaign will provide a forum for members to discuss British drug policy. The Tory government's current prohibitionist policy "plays into the hands of organized crime," said MP Jeff Smith, who co-chairs the all-party parliamentary group for drug policy reform. "This government's approach is lining the pockets of organized criminals while forcing taxpayers to live with the costs associated with drug abuse and preventing vulnerable users from getting the support they need. This year we've seen progressive drug policies implemented across Europe, and at a local level here in the UK, but now it's time for national leadership on this issue." Is Philippines President Duterte using the war on drugs to assassinate political foes? Human rights watchers say yes. Federal Judge Says Enough Already on Punishing Marijuana Users. Brooklyn, New York, US District Court Judge Jack Weinstein said Thursday he has been too hard on marijuana users, and that's going to end. 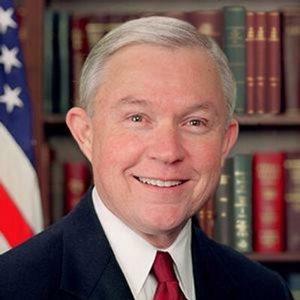 He criticized federal probation officers for demanding sentences of supervised release for people caught with small amounts of marijuana. His comments came in his ruling in a case where a 22-year-old on probation got caught with marijuana. Instead of sending him to jail, Weinstein cut short his probation sentence. Arizona Legalization Initiative Comes Up Way Short on Signatures. A legalization initiative from Safer Arizona will not be on the November ballot after organizers missed the Thursday deadline to hand in signatures. The group needed 150,000 valid voter signatures to qualify and had planned to gather 225,000 to provide a cushion, but admitted it had only come up with 75,000 raw signatures so far. 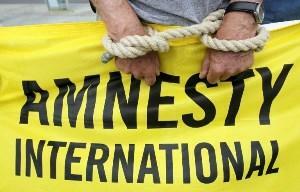 Amnesty International to Vote on New Positions on Drug Policy. One of the world's leading human rights groups will be debating proposals to tackle the devastating human rights consequences of "misguided attempts" by countries to criminalize and punish people for using drugs. The proposed new policy "would call for a shift away from the current 'scorched-earth' approach of heavy-handed criminalization, to an approach where protection of people's health and rights are at the center." The question will be taken up during the group's Global Assembly later this year. Report Calls for Coca Leaf to Be Legalized in Colombia. 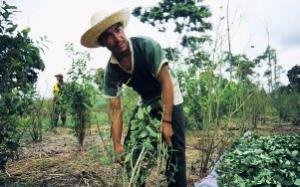 A new report from Open Society Foundations, "Coca Industrialization: A Path To Innovation, Development and Peace In Colombia," calls for coca to be legalized and calls on the Colombian government to guarantee small farmers protection from prosecution, support research into coca's nutritional properties, and promote the use of coca among indigenous communities. Philippines Rights Group Say Duterte Is Assassinating Political Opponents Under Cover of Drug War. At least ten Filipino mayors have been killed since President Rodrigo Duterte took office in 2016, including two in the past week. 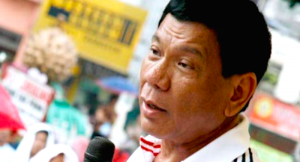 Human rights groups said Duterte is using the drug war to crack down on political opponents. The deaths of the mayors strikes fear into the hearts of "politicians, especially in the provinces, who are then forced to toe Duterte's line," said Carlos Conde, Philippines researcher for Human Rights Watch. A powerful Senate committee calls marijuana's Schedule I status an obstacle to research, an Arizona appeals court ruling gets ignored, Oklahoma sees its first medical marijuana clinic, and more. Senate Committee Slams Marijuana's Federal Classification, Saying Schedule I Blocks Research. The Senate Appropriations Committee has issued a report criticizing marijuana's continued classification as Schedule I drug, saying that the classification is a bar to research. "The Committee is concerned that restrictions associated with Schedule 1 of the Controlled Substance Act effectively limit the amount and type of research that can be conducted on certain Schedule 1 drugs, especially marijuana or its component chemicals and certain synthetic drugs," the committee wrote a new report called "Barriers to Research." Arizona Appeals Court Rules Patients Face Can Be Arrest For Hashish, Extracts. The state Court of Appeals ruled last Tuesday that medical marijuana patients can still be arrested for possessing hashish or extracts because they weren't included by name in the voter-approved medical marijuana initiative in 2010. The ruling came in the case of card-carrying patient Rodney Jones, who was caught with 0.05 ounces of hash. After spending more than a year in jail, he waived his right to a jury trial, but not his right to appeal. "If the drafters wanted to immunize the possession of hashish they should have said so," the ruling said. "We cannot conclude that Arizona voters intended to do so." Arizona Attorneys for Criminal Justice, which is supporting Jones, said the ruling will be appealed to the state Supreme Court. Arizona Marijuana Industry Leaders Say They Will Ignore Appeals Court Ruling Barring Extracts. Last week's state appeals court ruling that because hashish and marijuana extracts were not explicitly mentioned in the state's medical marijuana law they are illegal is being met with vows to ignore it by the industry. Dispensary associations and operators say they will wait for a final ruling from the state Supreme Court before complying. That could leave them open to criminal prosecution, even though the state Department of Health Services said last Friday it is still trying to figure out what to do. 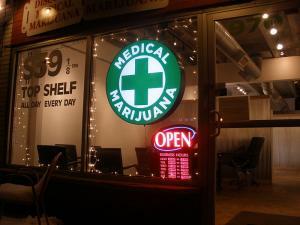 Oklahoma Sees First Medical Marijuana Clinic. That didn't take long. Just hours after the polls closed last Tuesday and voters approved a medical marijuana initiative, the Tulsa Higher Care Clinic opened for business. 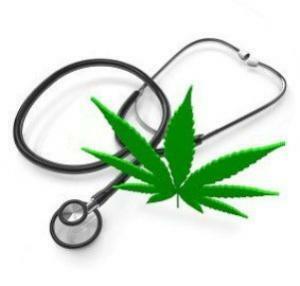 The clinic provides doctors who will write medical marijuana recommendations, but it isn't selling any product… yet. Utah Medical Marijuana Foes Drop Lawsuit Seeking to Block Initiative. Drug Safe Utah, which had sought to block the medical marijuana initiative from appearing on the November ballot, has given up on that tactic. An attorney for the group said its challenge lacked "ripeness," in that it sought to block the law before voters had a chance to vote on it. The attorney said the group may try to challenge it after it passes. Democratic legislative leaders in New Hampshire and New Jersey are pushing forward on marijuana legalization, a powerful Senate committee slams marijuana's classification as a Schedule I drug, the Swiss government is moving toward pilot programs on marijuana legalization, and more. New Hampshire Top Senate Democrat Kicks Off Campaign to Legalize Marijuana. Senate Minority Leader Jeff Woodburn has launched an online petition campaign to pressure Gov. Chris Sununu (R) on marijuana legalization. Sununu has vowed to veto any bill that would do that, but Woodburn said, "We're in the business of listening to what the people want, and we need to get our heads out of the sand and recognize the reality that all of our neighbors are moving towards." The campaign hopes to have 10,000 signatures by October when legalization goes into effect in Canada. Once that happens, New Hampshire will be totally surrounded by states or countries that have freed the weed. New Jersey House, Senate Democrats Say Legalization is Coming Soon. Gov. Phil Murphy promised that marijuana legalization would happen during his first 100 days in office. It didn't, but state Democratic legislative leaders now say it could happen before Labor Day. Senate President Steve Sweeney (D-Gloucester) says lawmakers are "rounding the corner" on marijuana and is predicting legislation could be passed by the end of August. 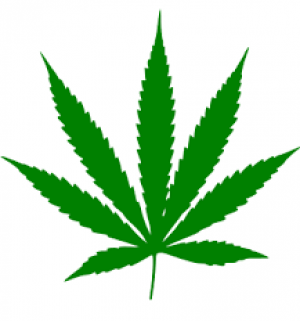 "I know the speaker and I are committed to getting the marijuana bills done this summer. That's our goal," Sweeney said. Switzerland Moves Toward Relaxing Marijuana Laws. 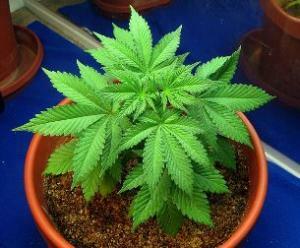 The Swiss government said Wednesday it aims to institute pilot studies on ways to relax its marijuana laws. "The scientific pilot studies would be limited and restricted to specific areas," the government said. "Participant numbers would also be limited, and minors would be excluded." The government noted that some 200,000 Swiss use marijuana regularly: "Although current laws forbid its consumption and seek to punish it, this number is not declining. At the same time, the black market is flourishing, and the safety of consumers cannot be guaranteed due to a lack of quality control." Between now and October 25, a consultation on the pilot study proposal will take place.